Atkins Diet vs. 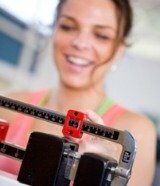 Weight Watchers: Going Solo or Choosing Group Motivation? Of all the weight loss plan comparisons, the Atkins diet vs. the Weight Watchers plan are vastly different in their origin and the way they approach the emotions and science of losing weight. Though one is a low carb diet and the other is basically a low fat, portion control plan, the two have other noteworthy differences. Dr. Robert Atkins, the cardiologist who launched the Atkins Diet plan in 1972, emphasized to his patients and to overweight individuals the importance of a low-carb, high-protein diet. The science behind the Atkins plan is that the body burns carbohydrates for fuel first before it turns to the fat for fuel. Dr. Atkins knew that a restricted carbohydrate intake would cause a temporary and safe state of ketosis, which forces the body to burn excess fat instead of glucose (carbs). The origins of Weight Watchers were not in a lab or a doctor’s office. In 1961, an overweight housewife in Queens, NY, named Jean Nidetch, invited her friends over and admitted her eating problems to the group. She soon began to lose weight thanks to weekly meetings with her friends, and was encouraged that “empathy, rapport, and mutual understanding” had such a pronounced impact on weight loss. Based on the belief that dieters need a support community, Nidetch launched the worldwide success known as Weight Watchers from her living room. With the two obvious difference noted in their origins, it is interesting to look at other details comparing Atkins Diet vs Weight Watchers. A low fat diet that emphasizes portion control. It encourages eating healthy grains, vegetables, fruits, and permits meat – always in a modest serving. Any food is allowed as long as the dieter remains within the day’s “point system” score. The goal is to stay under the total point value for the week. The Point System gives scores to all foods based on portion size, calories, fat grams, and fiber content. You can eat most anything as long as you remain within the range of your daily point count. For example, one Weight Watchers Smart One frozen dinner may have a point count of “6.” Typically, a woman of average size will be allowed to eat the equivalent of 20 points a day. When following the Weight Watchers daily nutrition plan, the dieter consumes about 30% of calories from fat, 20% from protein, and 50% from carbohydrates. Joining Weight Watchers requires a membership fee and weekly weigh-in fees at meetings. Members get support both online at the official website and in local community meetings. Being connected with other dieters and receiving encouragement and motivation from the group is a key difference in the Weight Watchers vs Atkins diet comparison. Weight Watchers offers optional pre-packaged meals, snacks, and desserts. This is a low carb diet that restricts carbs initially then allows them back in during later phases. Induction Phase, in which the dieter is restricted to just 20 carb grams per day, lasts about two weeks to get into a low carb ketosis state. Protein and fat are allowed. Refined carbs such as white flour and bread, fruit, and starchy vegetables (potatoes, corn, etc. ), are not allowed during the first two weeks, and dieters are advised to limit them in the maintenance stage. Though calorie counting, portion control, or weighing food isn’t required, the Atkins dieter must count every carb gram consumed daily. The initial Atkins daily nutrition plan will have the dieter eating about 60% of calories from fat, 30% from protein, and 10% from carbohydrates. Researchers have found this to be a safe level to enter ketosis, and it has proven to be one of the fastest ways to lose weight successfully. There are no membership fees, weigh-ins, or meetings, and no prepackaged meals to buy. You purchase your own food and prepare your own meals. While this is a solo diet you do on your own, the official Atkins website offers a forum community to exchange ideas, get encouragement, and find a diet buddy to help you on your weight loss journey. Atkins offers packaged shakes and bars, but eating them is optional. Weight Watchers was sold to the Heinz company in 1978 and has since adopted a more scientific approach than its humble beginnings as a support group. Like Atkins, it is dedicated to long-term weight management and a healthy lifestyle, with nutritious eating being a key component. It is a calorie and portion controlled eating plan that has been wildly successful, yet it does cost more when you consider membership and weekly fees of Weight Watchers vs the Atkins Diet book – the only real cost to following the low carb Atkins plan.